The Doug Engelbart Institute is a proud sponsor of the Engelbart Scholar Award, which serves to support and inspire students of Engelbart's work at partner universities. The Award is connected to a specific professor and course at the university, and covers the Awardee's tuition in that course, a Spring tour of the Engelbart Archive Collection in the San Francisco area, and the opportunity to intern with the Doug Engelbart Institute. Awardees participate in selected project(s) that advance the Engelbart legacy, to culminate in a final project presented at year end. Two Awardees are selected each year at Virginia Commonwealth University (VCU) in Richmond, VA. The Awards are sponsored jointly by VCU and the Doug Engelbart Institute. The Engelbart Scholar Award is offered in conjunction with an all new online version of the the required undergraduate course Inquiry and the Craft of Argument. See course description. The Internet Hall of Fame's recent profile on Doug Engelbart, Internet Pioneer's Greatest Contribution May Not Be Technological, showcases Dr. Campbell and his course as a case example of Engelbart's legacy in motion. 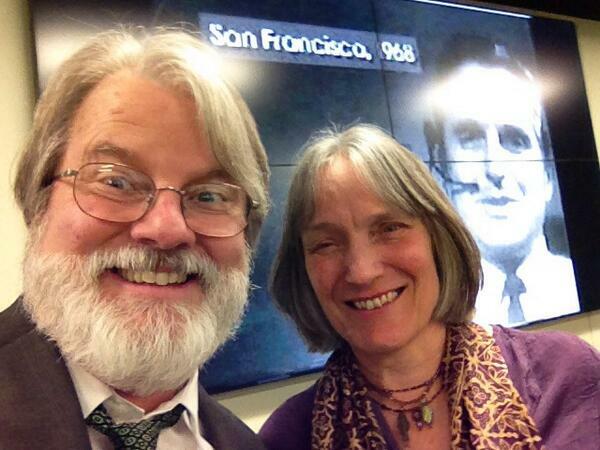 See also our blog posts Engelbart Scholars tour with Doug Engelbart Institute (March 2015), and Announcing Summer MOOC and Engelbart Scholar Award at VCU (April 2014). "Engelbart Recontextualized: Reworing Frameworks for Reworking Frameworks (and more similarly meta things)"
Visit our University Showcase for more on faculty and the courses offered. "My solution was to [...] focus on the goals behind his work, something that’s important to emphasize because our use of computers has yet to reach the potential Engelbart had in mind." "Doug thought at scale. He understood that a car is not simply a faster tricycle. He had faith that an augmented intellect, joined to millions of other augmented intellects, could clarify individual thought even as it empowered vast new modes of thinking, new modes of complex understanding that could grasp intricately meaningful symbols as quickly and comprehensively as we can recognize a loved one’s face."